Your RV is your home away from home. It goes with you so you can create memories with family and friends. When you’re not using it, you should know that it’s being taken care of. When you need to take it somewhere, it should be quick and hassle-free. 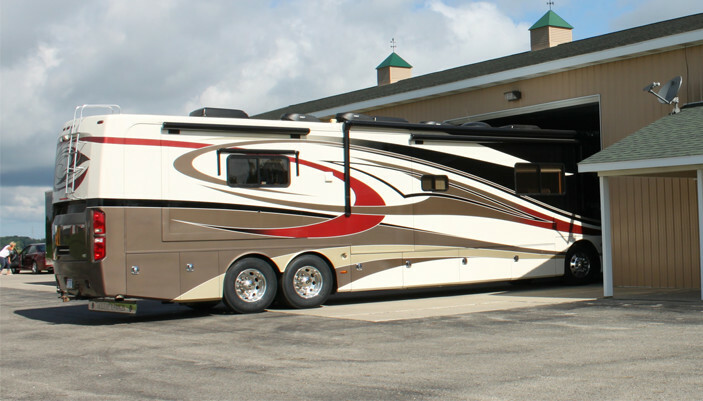 We’ll put your RV away, clean it, and prep it for long-term or short-term storage. When you’re ready to come get it, we’ll have it filled with gas and good to go! 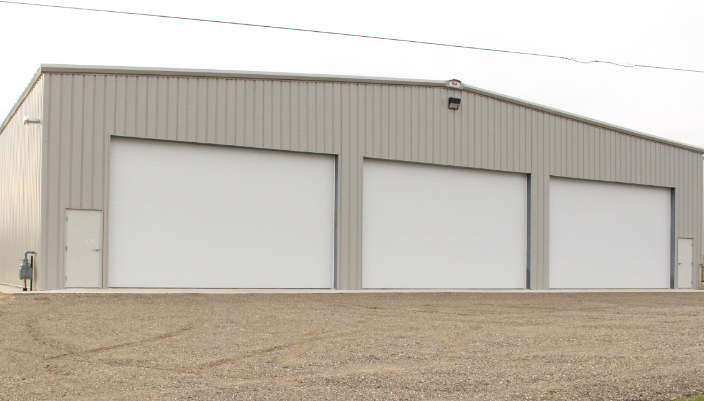 We keep our climate controlled storage at 55° so you don’t have to worry about the cold winter weather. If you do choose to store your RV in a non-temperature controlled unit, we will winterize it on site. This includes small mechanical and technical fixes if you need them. This is a great value-adding service for any RV! Does your RV need some cleaning up? 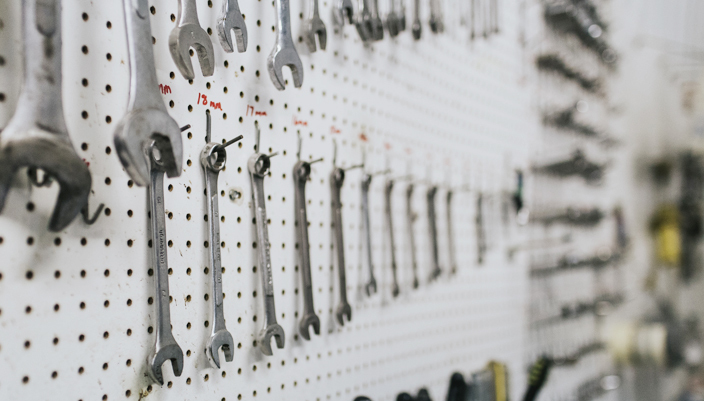 We can take care of all the little details so your RV is clean and ready to go when you need it next. Small dings and scrapes can happen easily when your RV travels a lot of places. 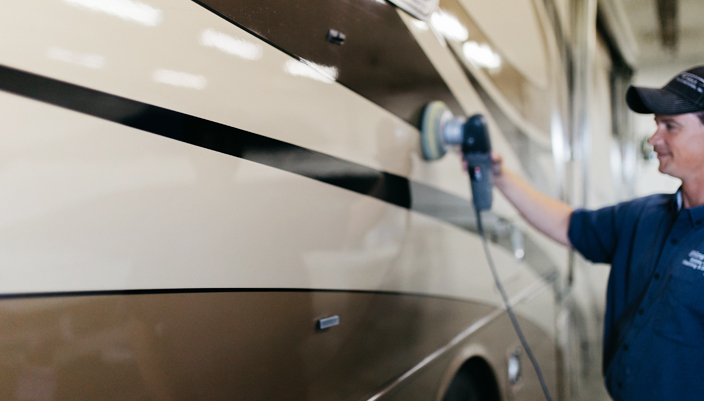 We can make small body repairs to your RV to keep it looking fresh, and free of rust and blemishes. Keeping your RV out of the harsh seasonal elements experienced in Michigan has many benefits. Snow load on an RV can cause structural and lasting damage and can become very expensive to repair. 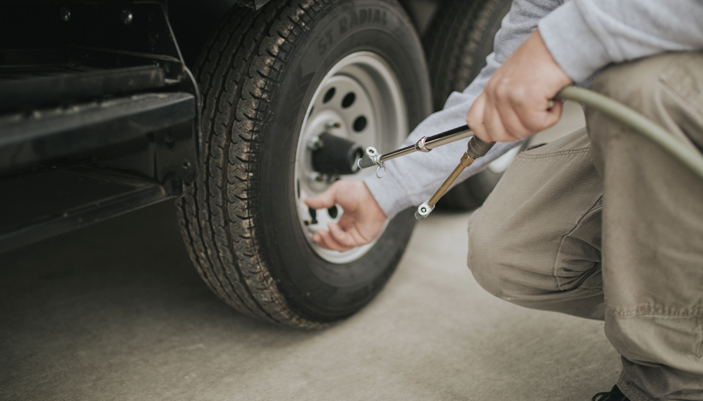 Sun exposure can also cause damage to sensitive surfaces and tires on an RV over time. Storing your RV indoors will help to preserve the unit’s original value as well as the life and luster of your RV. We proudly offer both seasonal and year-round storage services so you can enjoy your RV for years to come! As an added benefit, we do offer a great discount for our year-round customers! Our RV/Trailer storage rates start at $3 per linear foot/month for inside RV storage. Our minimum rate is $55. Call us, or click on the link below, and we will customize the best rate for you.